[Hello, Challenge fans! Last Friday, we posted a nifty holiday-themed crypto & stego challenge by Chris Andre Dale. We offer a special thanks to Chris for creating the challenge and for letting us host it. A whole bunch of people managed to work their way through the challenge and solve it. But, there were two answers that were particularly noteworthy, and will receive two T-shirts each: a NetWars T-Shirt plus our SANS Pen Test Curriculum T-shirt. Our first-place winner, who had the entire correct answer in the shortest time, was Matt Giannetto! He provided some great code to decipher the message and save the bunny, winning the two T-shirts. Additionally, we'll provide a bonus prize (of the two T-shirts) for one of the best write-ups we received, from Thomas Heffron. His answer was so good, we'll make it the official answer to the challenge, which follows below. Well, how could anyone not spend a few moments for such a noble pursuit? Besides, what would I tell my kids if I didn't even try? Moving on to the intercepted audio message, I download and play it with my Linux simple audio player. A few moments of listening indicates this audio track is probably a reverse of the true recording. How can I tell? The best way I can explain this is that each word trails _in_ to a hard ending. Most spoken language begins each word with a clear emphasis at the beginning and trails out at the end of the word or syllable. After some mad searching around my simple media player, I realize it does not have the sufficient effects to play the recording in reverse. A quick Google search for 'linux play mp3 in reverse' delivers a suggestion of Audacity. Drop this into my browser and I see an image of the notorious Con Air movie bad guy, Cyrus 'The Virus' Grissom, threatening our furry little friend. Call John Cusack! We must stop these villains and save Easter! Comment : The ciphertext is created using the famous Vigenere cipher, once considered unbreakable. The key to reveal the cleartext is a combination of the a town located at the X Y coordinates where this picture was taken, and the make of the camera. Success! 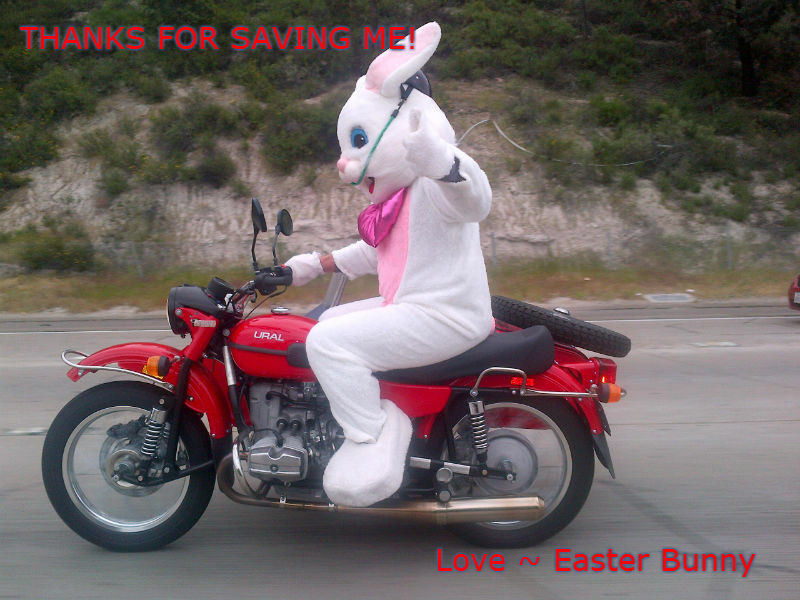 I seemed to have helped save the Easter Bunny! Browsing to the link provided in the cleartext indicated from the comments that I was not the first concerned citizen to help the Easter police. I'll assume that Mr. Bunny is safe and sound and that the challenge creator was not part of the evil plot! Thanks to Chris Andre Dale for a fun challenge and to the SANS Pen Testing team for hosting it! if you know that is a vigenere cypher, you can presume that Dsemvnqwlnmmzvi! = congratulations! so you can obtain the key, once have key decoding cypher text is piece of cake.